Take your equipment wherever you want it to go with a trailer from Hall Trailer Sales. 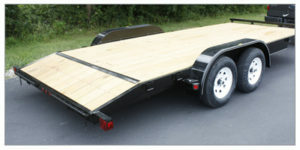 You can find great trailers from Trailerman and Doolittle at our dealership. Take a look at some of the options we have available. In business since 2000, Bob and Chelle of Hall Trailer Sales are here to give you a great deal on a new trailer. You’ll love our competitive prices. Manufacturers’ warranties are available. 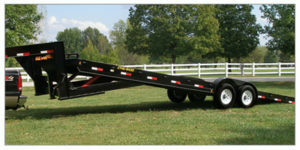 Economy Line of Channel Flatbed Equipment Trailer. Featuring the 7K CF and 10K Cf. With our EZ Loader GT you won’t have to mess around with levers or buttons to use the tilt feature. Our EZ Loader tilt trailer gets rid of the need for ramps when load or unloading. It makes hauling vehicles or equipment easy!